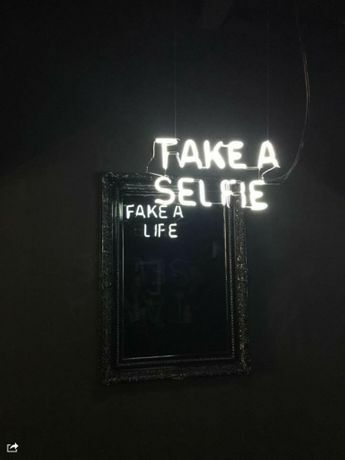 Matiz light sculptures provides a closer look into the concepts of mass culture and media confronting the viewer with the duality of what is seen and its underlying meaning. In the works there are three components – the neon writing, its reflection and the reflection of the viewer. Each contributes to the final sensation one feels when standing in front of the work. Matiz shows imagination when he plays with the real meaning of the words and the possibilities of its reflection. It is a work which –in artists words– is 70% made up by the viewer’s experience. Camilo Matiz, born in Bogota Colombia in 1976, is an artist who has successfully explored cinematography, writing, photography and film. Hes work has been shown in international art exhibitions including Crossroads Art Show, Art Palm Beach, Miami, Scope Miami and Barcú Art Fair, Bogotá. In 2009, his artistic film, ‘1989’, achieved the Official Selection in Semaine de la Critique in Cannes as the closing film for the festival. Though its huge recognition, Matiz chose not to publicly screen or distribute the film. Only 6 prints in 35mm were made and signed by the artist, all of them in hands of collectors. "Here not Here" is his latest work in light sculptures. His artistic expressions through film, photography and other media, has been given several awards including ‘Top Trending artwork Art Basel Miami’, ‘Nova Grand Prix’, ‘Cannes Lions’, ‘London International Awards’ and many more.